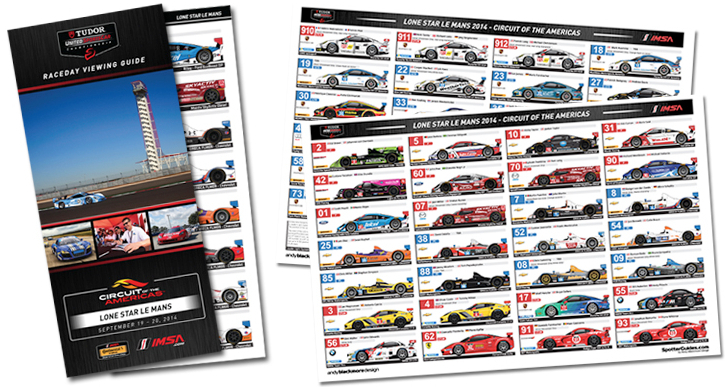 As a special treat, and thank you for the tens of thousands who downloaded my IMSA Spotter Guide for the recent Rolex24, I am making available a free wallpaper featuring an illustration of the GTLM finish with Oliver Gavin leading Antonio Garcia by just 0.034 seconds, the closest class finish in Rolex 24 history. 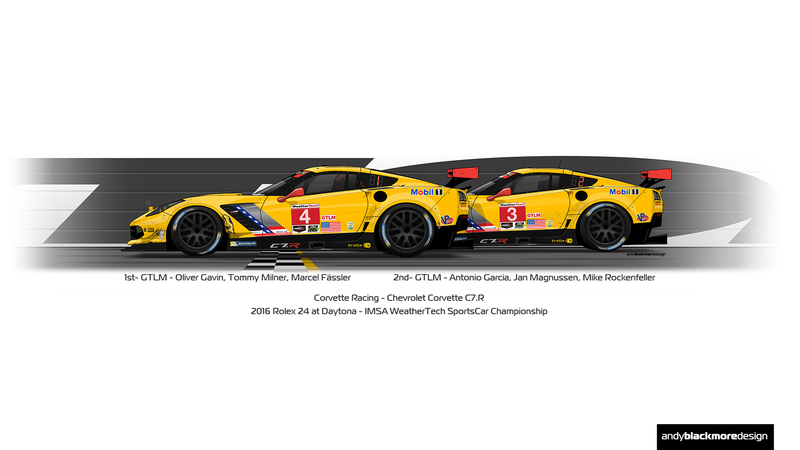 The start of the 2016 North American Season gets underway at Daytona International Speedway, this weekend with the Rolex 24 Hours and I have been involved in a variety of projects associated with the event. 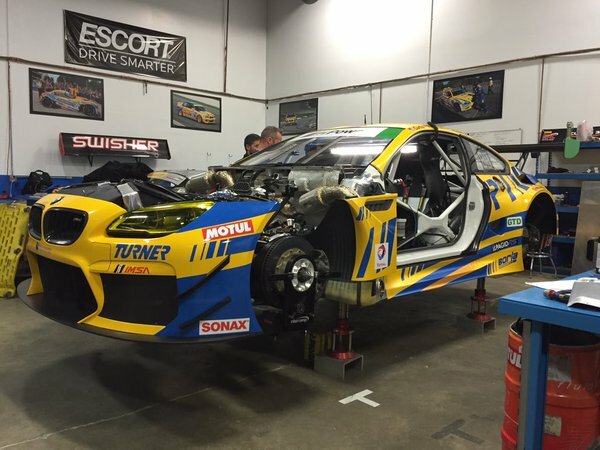 Most prominent are new liveries for Turner Motorsport with their all new BMW M6 GT3 and CJ Wilson Racing and their new Porsche Cayman GT4 ClubSport. 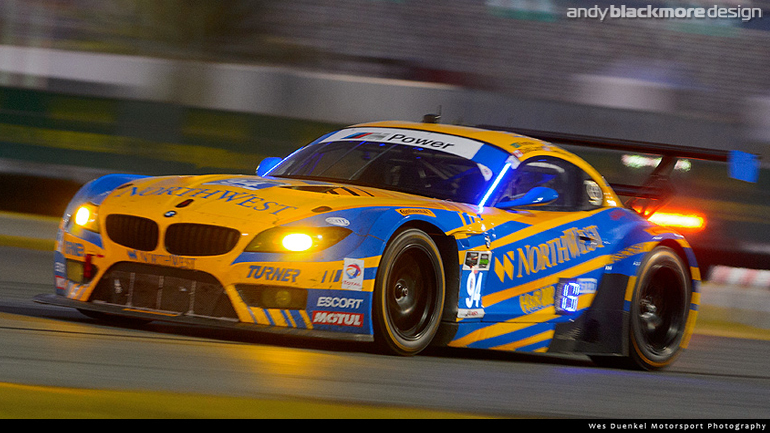 The Turner design has been developed form the fan favorite Z4 livery, although the larger proportions of the M6 coupe proved challenging to balance. We ended up with a couple of final designs which the team could not decide on, so we went with both! 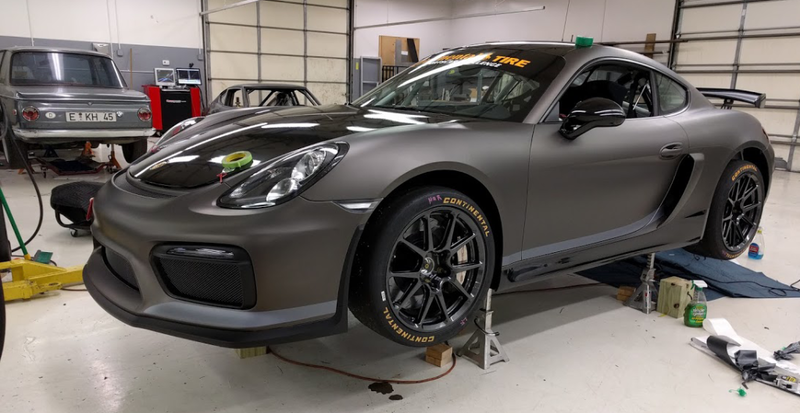 Each car runs a different diagonal stripe, along with the addition of driving light cover colors, help fans and the mechanics tell the two cars apart. 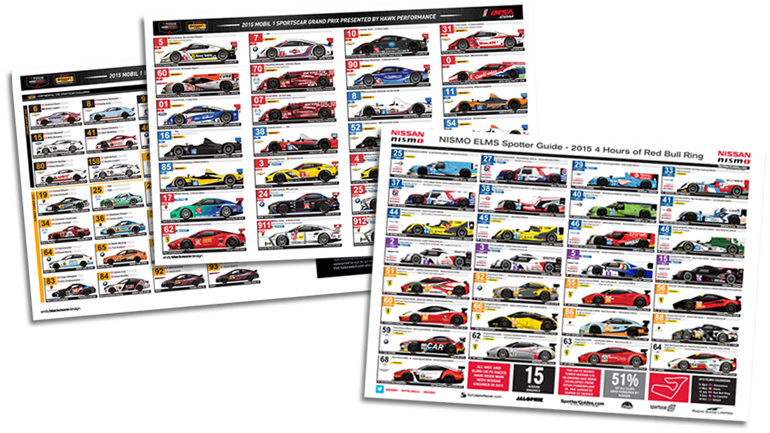 These blank car illustrations will also feature in the IMSA Raceday viewing guide booklet and around the track on hoardings aiding fan, old and new. 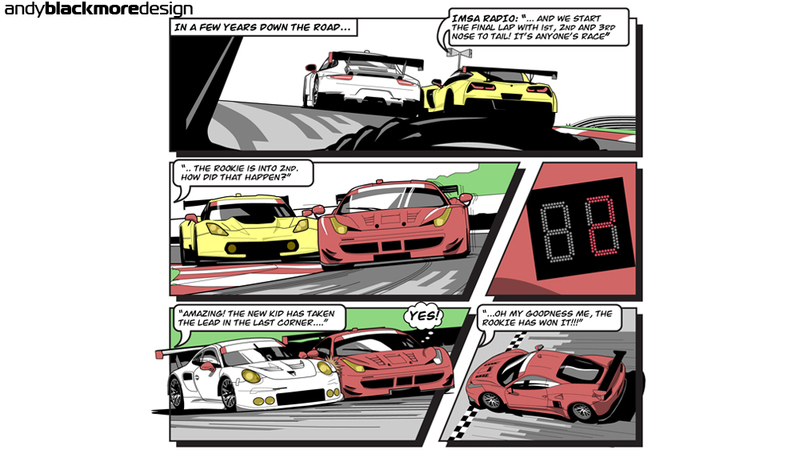 A great example where a company can re-use and maximise their ‘investment’ in quality illustrations. 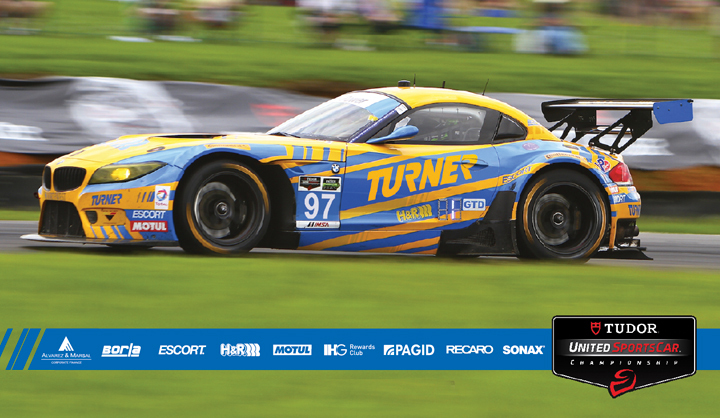 A limited number of IMSA Champion shirts have been produced to celebrate the champions in the 2015 TUDOR United SportsCar Championship and the Continental Tires SportsCar Challenge, including my client CJ Wilson Racing. 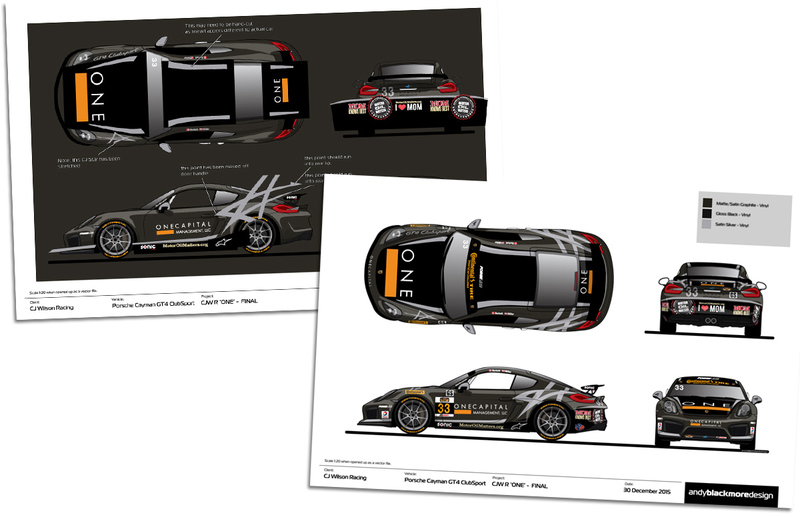 CJ Wilson announces 2016 Porsche Cayman GT4 Continental Tire SportsCar Challenge campaign. 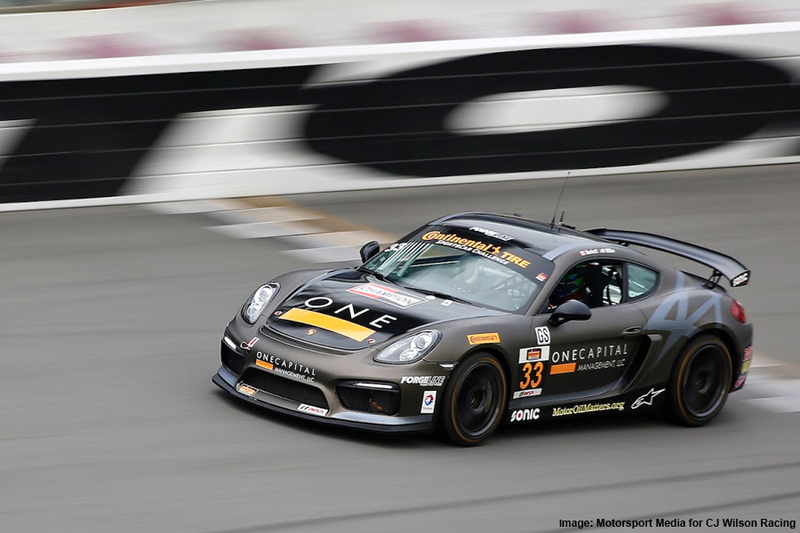 Current Continental Tires SportsCar Challenge ‘ST’ Champions, CJ Wilson Racing has announced a two-car entry in the ‘GS’ class with the all-new Porsche Cayman GT4 Clubsport. The new Cayman was launched at the Los Angeles Motor Show earlier this week. 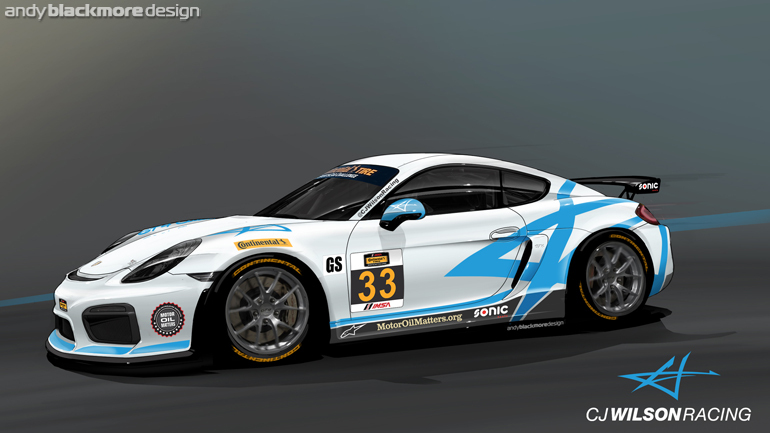 With a brainstorming session before the car was launched, it was a great opportunity to create an ‘old school’ digital render of the car with a launch livery. Time was the essence, so this was all completed within one day. My background is vehicle design and styling, so it was good to create one of these illustrations. 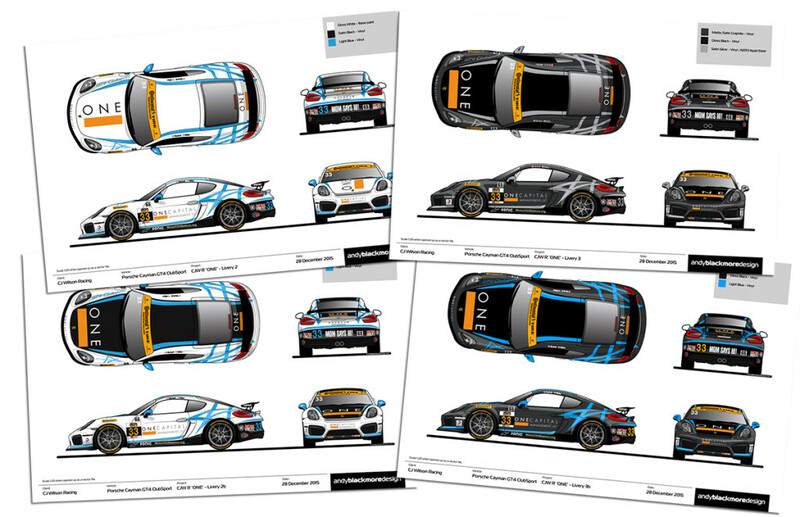 The livery itself is a development of the previous MX-5 livery with an oversized ‘CJ’ signature graphic scaled down to allow for sponsorship space. 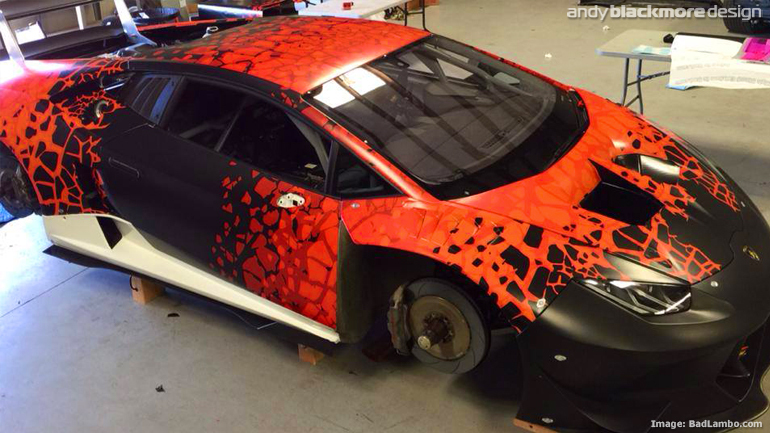 The livery is a development of the design I created for the team last year. 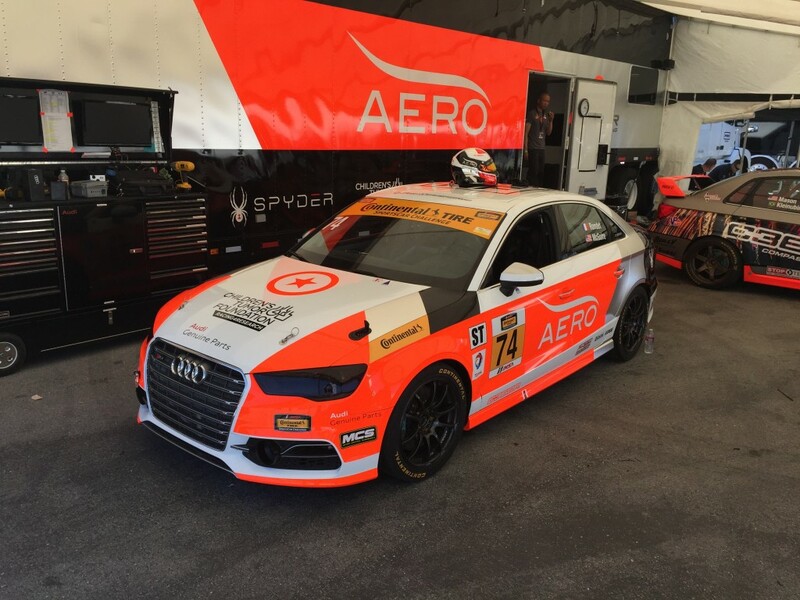 I was fortunate to work with Canadian team, Compass360 Racing on their new Audi fleet of racecars. At the end of last year, I designed a new livery for the Audi S3, which blended the traditional Compass360 look, a retro inspired Audi Sport identity with the vibrant and cool paint films of AERO. 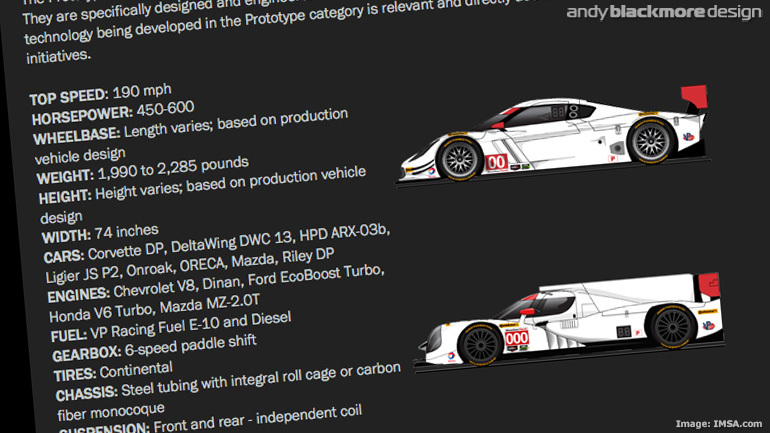 The livery design process has now been released in the dedicated Portfolio section. 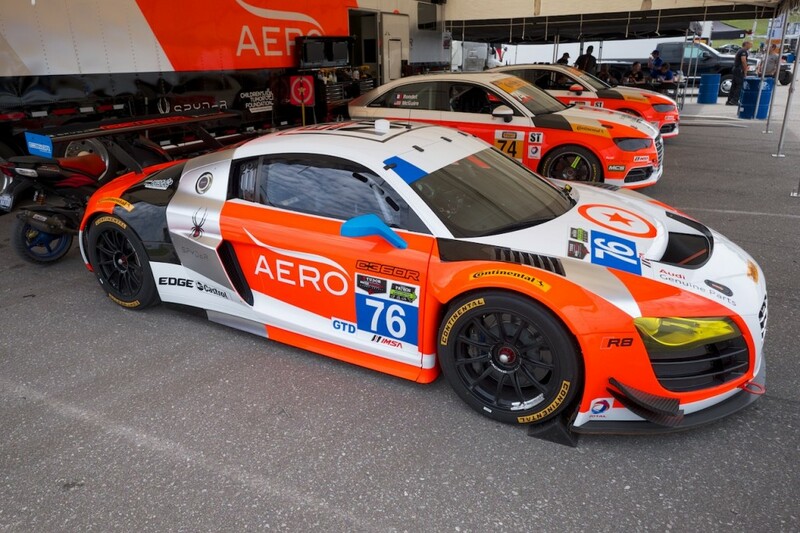 More recently, Compass360 Racing have been preparing to make their TUDOR debut at Lime Rock Park with a new Audi R8 LMS. 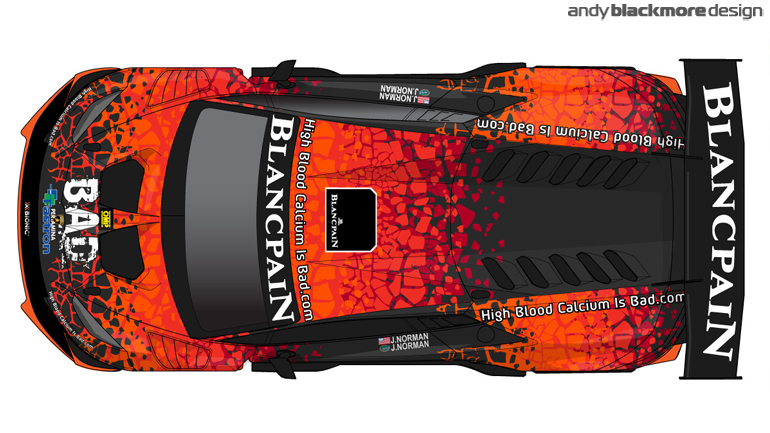 I collaborated on the livery with the team owner (and leading Creative Director), Karl Thomson. 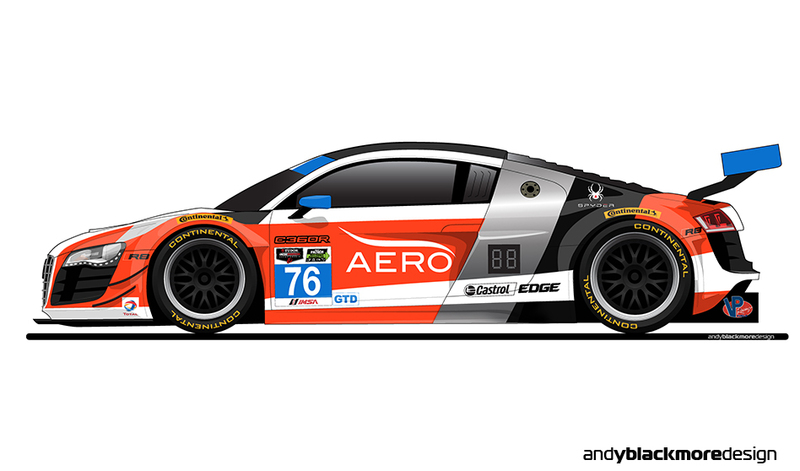 I assisted in the design of the livery for the new Compass 360 Racing livery for their new Audi R8 LMS which will race, later this season, in the GTD class of the TUDOR United SportsCar Championship. 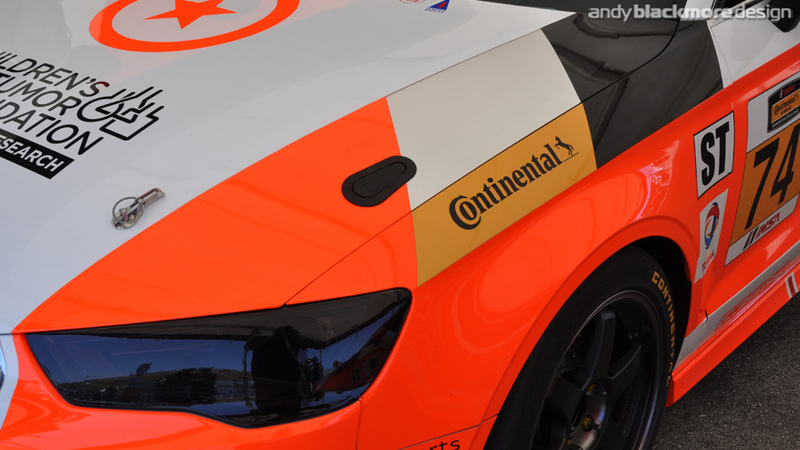 Developed from my livery design of their Continental Tires SportsCar Challenge entries, the liveries will continue to feature AERO Paint material and feature a design which references Audi’s previous success with the IMSA series and Compass 360 iconic florescent Orange. Dr Jim Norman is a successful race driver, but more importantly is the most experienced parathyroid surgeon in the world and is considered the “father” of mini-parathyroid surgery. 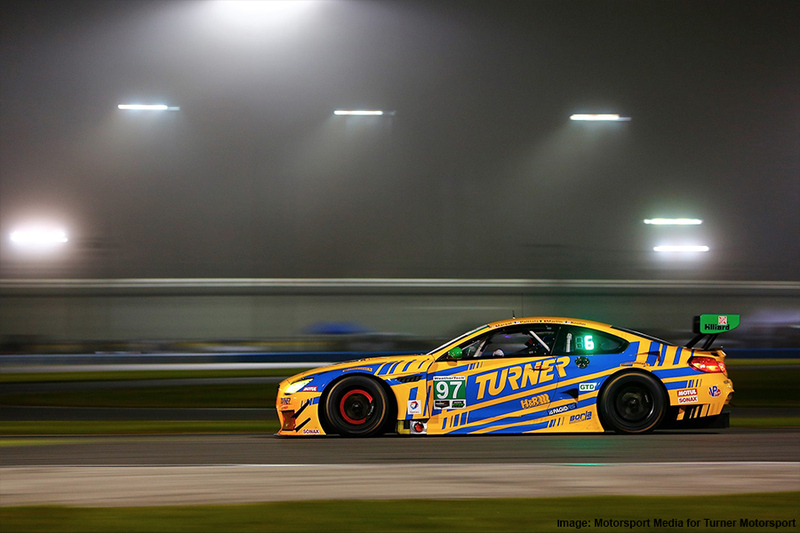 Jim has competed in Grand Am and the TUDOR United SportsCar Championship including a class win at the 2013 Rolex 24 Hours of Daytona. 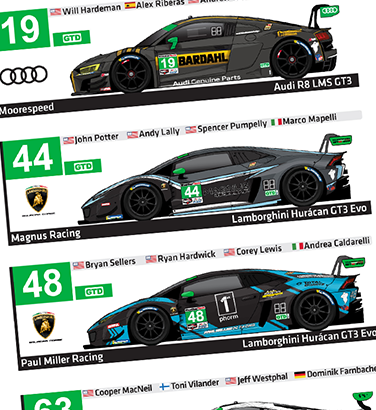 Jim will be adding to his TUDOR GTD endurance race duties by joining the 2015 Lamborghini Super Trofeo Series in his all-new ‘Bad Lambo Racing‘ Lamborghini Huracán LP 620-2. 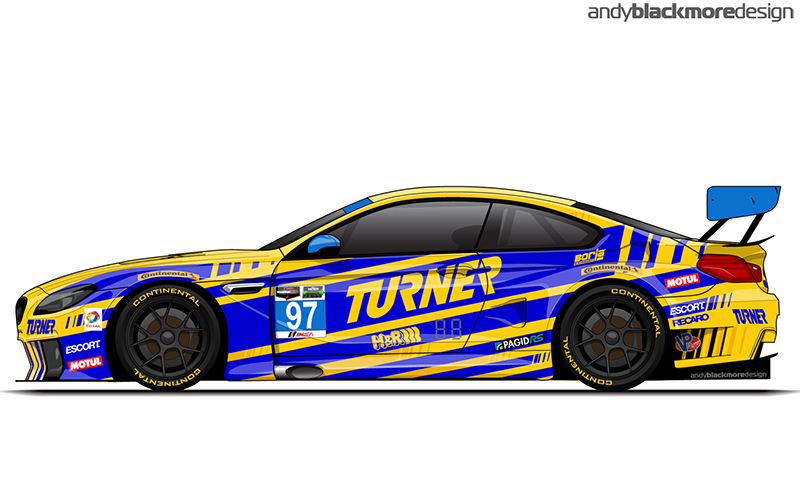 Jim contacted me asking for a livery which would stand out and be visually strong enough to work so that kids would want to put a poster of this car up in their bedroom, just like many of us (older ones!) did in the 70’s and 80’s. 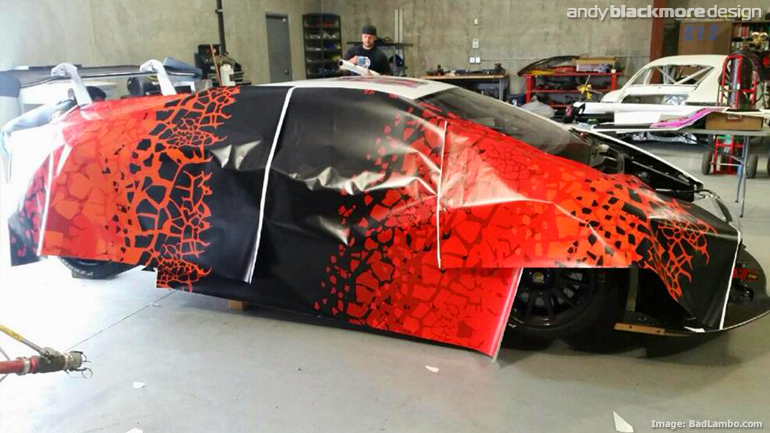 These images shared by Jim on his social networks show the car being wrapped. 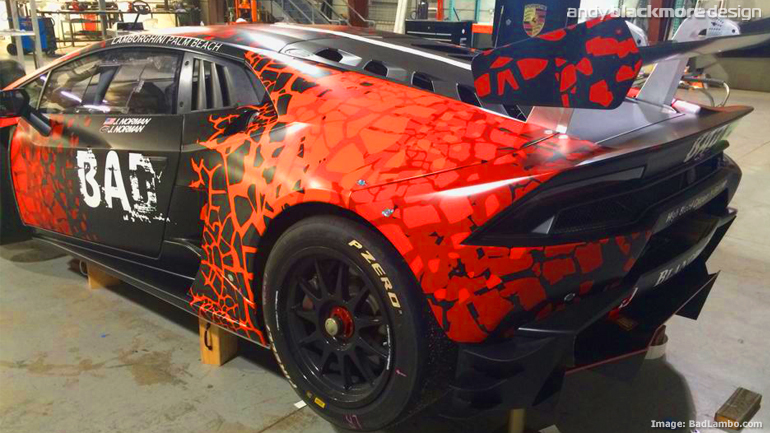 Run by Bad Lambo Racing in associated with Park Place Motorsports, Jim will be joined in the Huracán by his 21-year-old son, Josh Norman, who is making his IMSA racing debut. 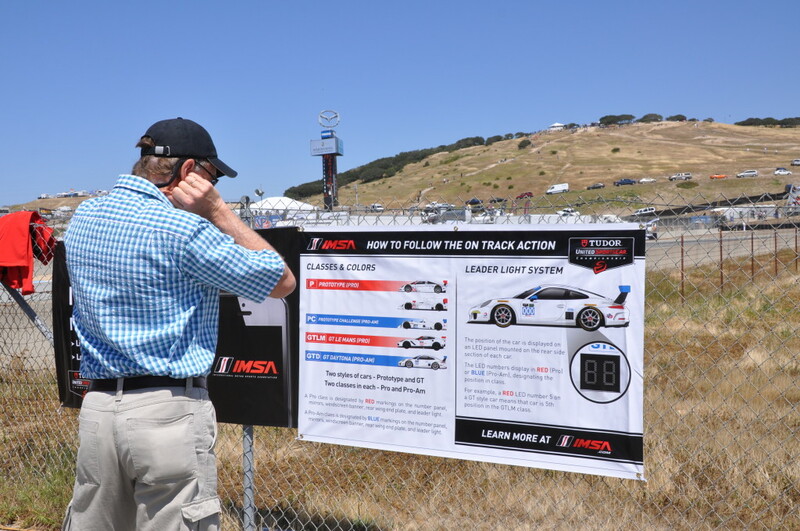 Bad Lambo Racing provides Jim a platform to educate people about the dangers of high blood calcium, an under-diagnosed sign of parathyroid gland tumors. 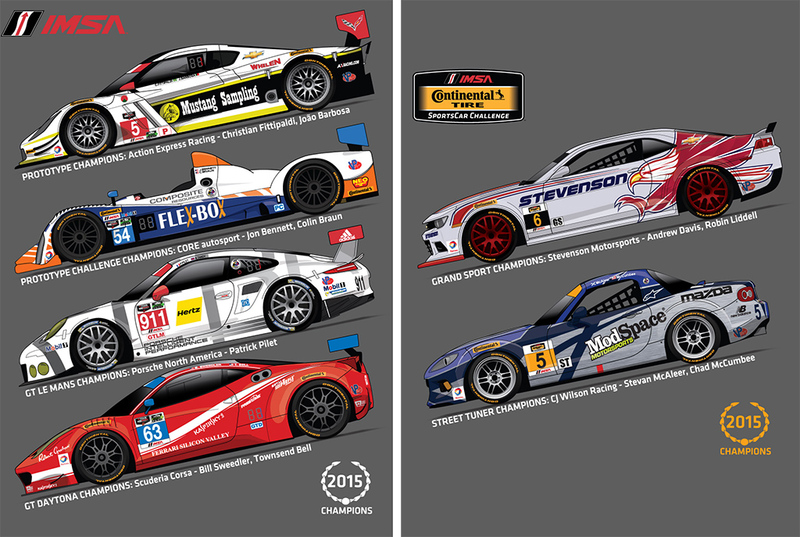 I have been commissioned to produce some new artwork for IMSA merchandise for 2015 following a successful run last year. 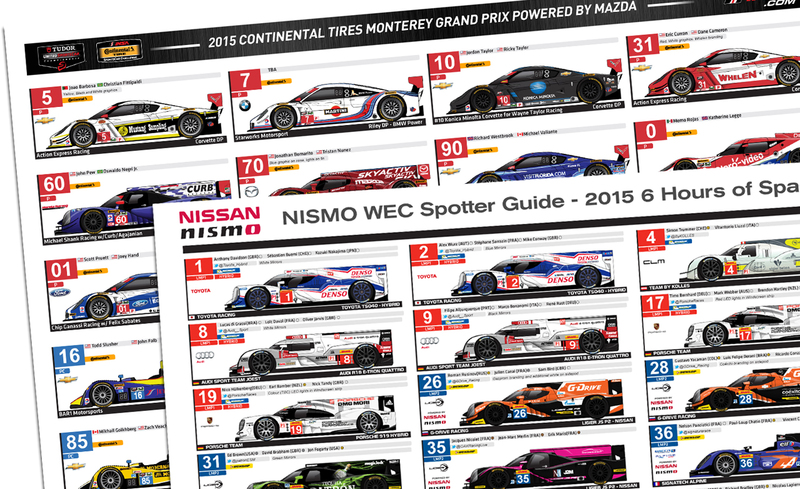 Here is a quick run down of whats on offer at the track, or at the online store. More items to follow during the year. 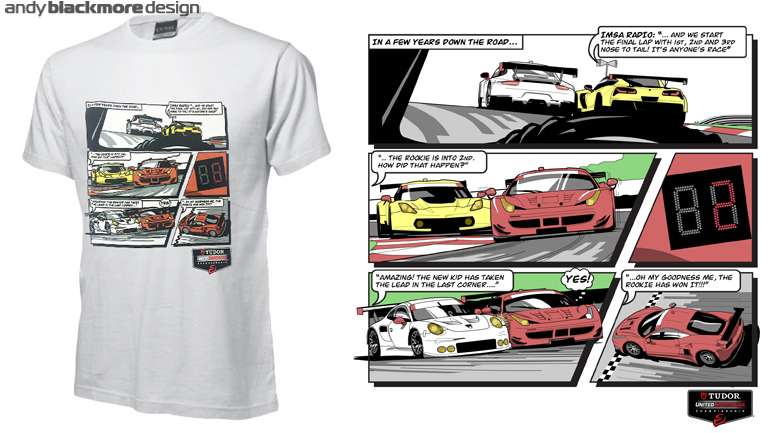 The shirt is is my favourite design and something I haven’t illustrated before, a short comic strip. 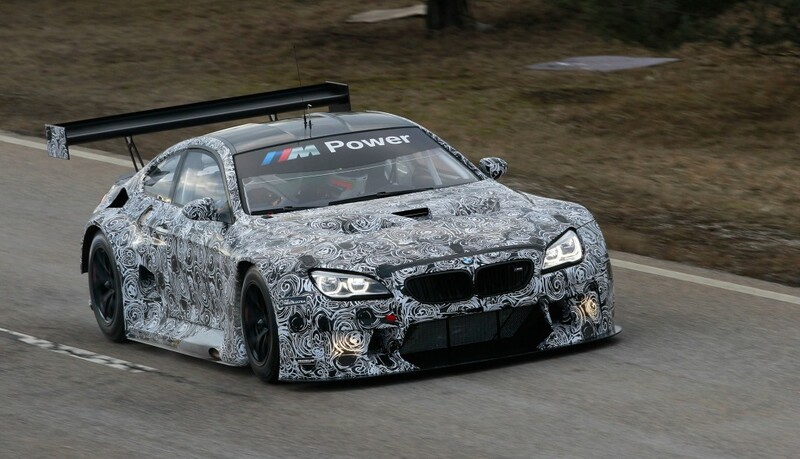 It is as if it a younger fan is imagining racing the GTLM cars in a few years time. 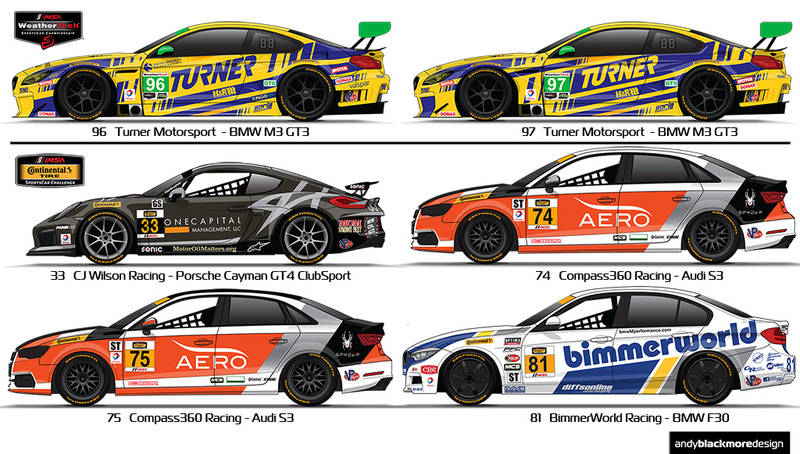 Complete with approved IMSA Radio commentary! 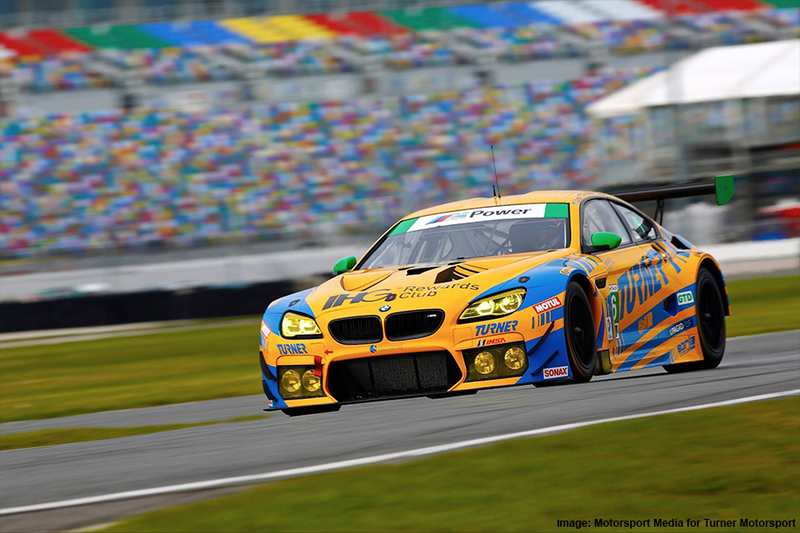 With the 2015 IMSA Season now underway with the annual ‘ROAR’ Test at Daytona. 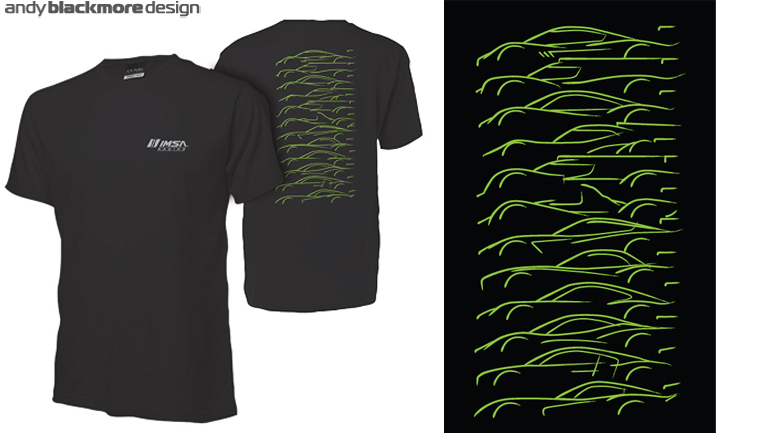 IMSA have released the first of my shirt designs for 2015. 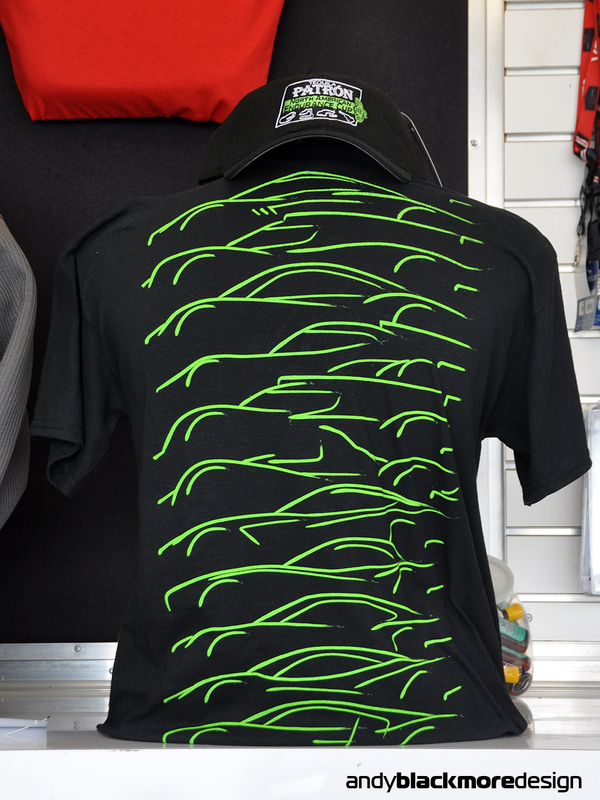 These are now available at the IMSA merchandising truck at Daytona for the ROAR test. This print (on rear) features each of the full time chassis for 15 ( The Viper is hidden in this shot). Available in Adult and Youth sizes. 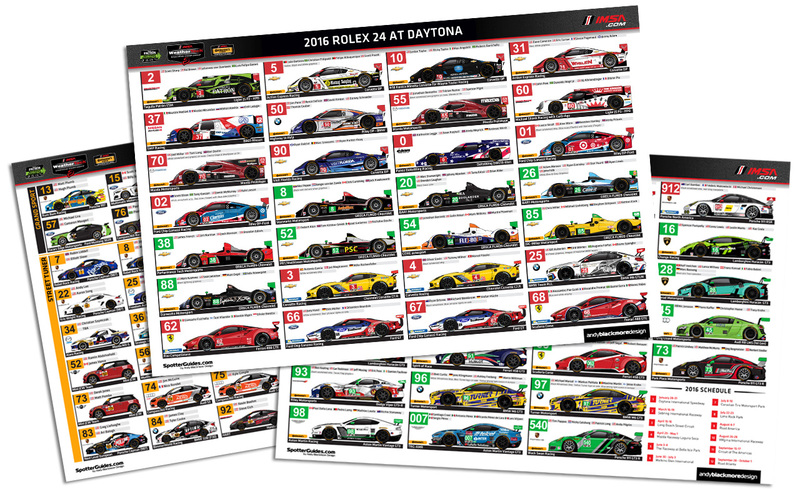 Two more circuit related shirts will be available from the Rolex 24, while a Spotter Guide shirt will be available from Sebring.